The annual Steam Summer Sale has nearly reached its conclusion. In the unlikely event that your wallet still has some cash left in it (perhaps you simply didn’t find much that appealed to you this time around), The Humble Store will gladly take the rest of your money. 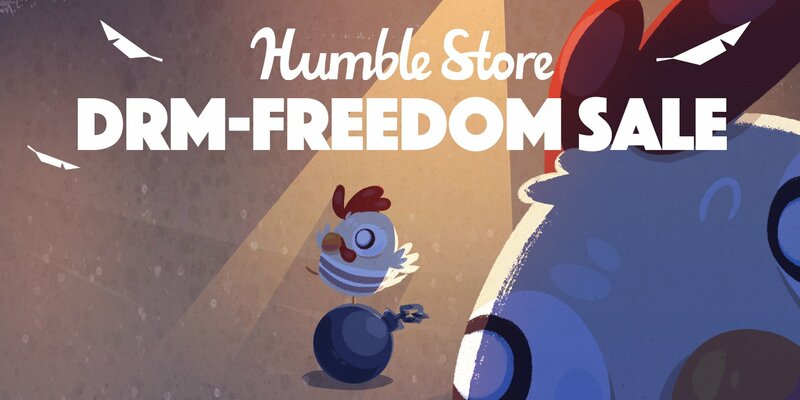 In recognition of Independence Day, the popular digital storefront recently launched its DRM-Freedom Sale where you’ll find deep discounts on a wide array of titles sans DRM protection. A quick check reveals plenty of tempting games, some of which are even cheaper than what Valve is currently offering. The Witness, for example, is going for $19.99 as part of the Steam Summer Sale but can be had for just $15.99 from the Humble Store. Outlast 2, meanwhile, is priced at $20.99 from the Humble Store versus $23.99 over on Steam and Xenonauts can be yours for $4.99 via the DRM-Freedom Sale versus $7.49 from Valve. That said, the Humble Store isn’t always the cheapest route. Case in point – Hacknet is $3.39 on Steam compared to $4.99 from the Humble Store while Sunless Sea is $5.69 on Steam and $9.49 through the Humble Store. The moral of the story here is to shop around before pulling the trigger. Many games are priced identically across the two stores but occasionally, you’ll save a few bucks by going with one store over the other. The DRM-Freedom Sale ends July 10.